Many will tell you that as traditional marketing and distribution models become outdated and overall rights deals remain out of reach for the vast majority of productions, innovative breakthroughs are constantly emerging, creating exciting ways for films to successfully penetrate available markets on their own. Through the power of the Internet, filmmakers can now find their core audience, connect with fans, sell directly to customers and build a loyal base of supporters over the length of their careers. The other thing that is rarely mentioned is that this can be a full time job which will keep you from what you want to be doing: making more films. 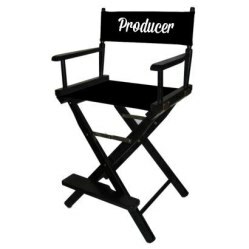 As early as possible, the producer should hire a PMD to oversee all aspects of marketing and SELLING their film. Thankfully, Autobahn Digital has many of these positions already covered in house due to Jon Bonnell’s years working for and with multiple Sales Agencies and theatrical bookers. Beyond that, we can continue this work for the lifetime of your film. Overseeing sales, deliveries, collections, and everything you don’t have time to do as you move on to your next project. We work for you!